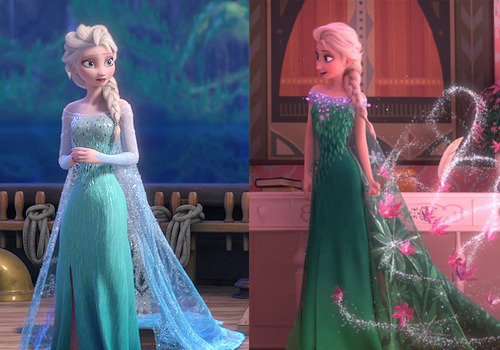 To prepare you for the new short and the upcoming sequel, we’ve put together a little primer on what Elsa and Anna look like in Frozen Fever, compared to their main outfits in the original Frozen. First things first: here is the official trailer for Frozen Fever. Take a look! You’ll see all of the best characters: Anna and Elsa, of course, but Sven and Kristoff, and even Olaf. Keep an ear out for the new song, too! Alright, watched it? Onto the costume comparisons! 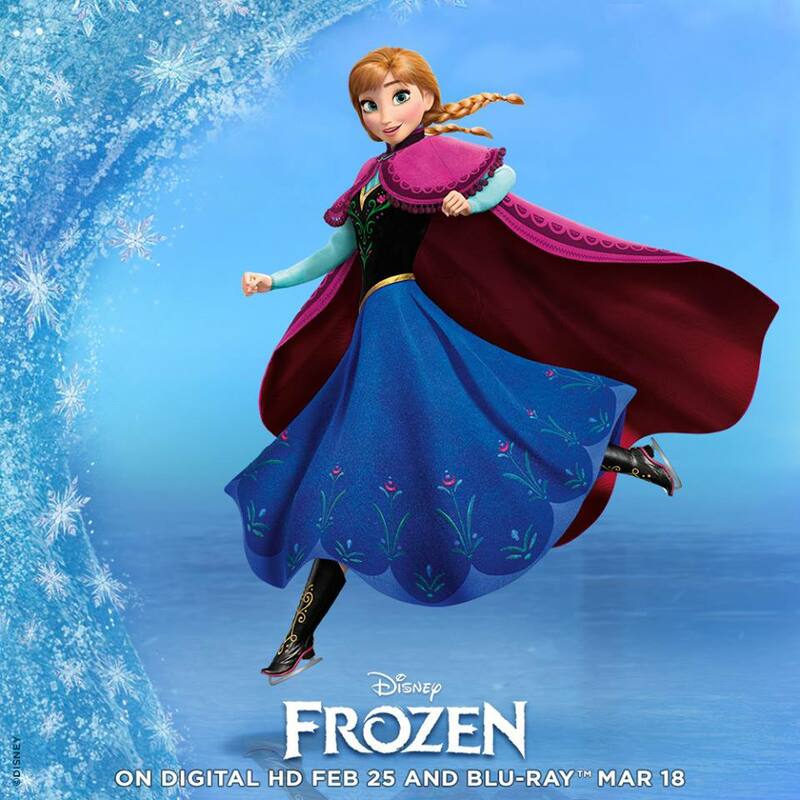 In Frozen Fever, Princess Anna is the birthday girl of honor. Her outfit in the new animated short isn’t too incredibly different, but is definitely more colored for warmer weather, rather than a wintery adventure. 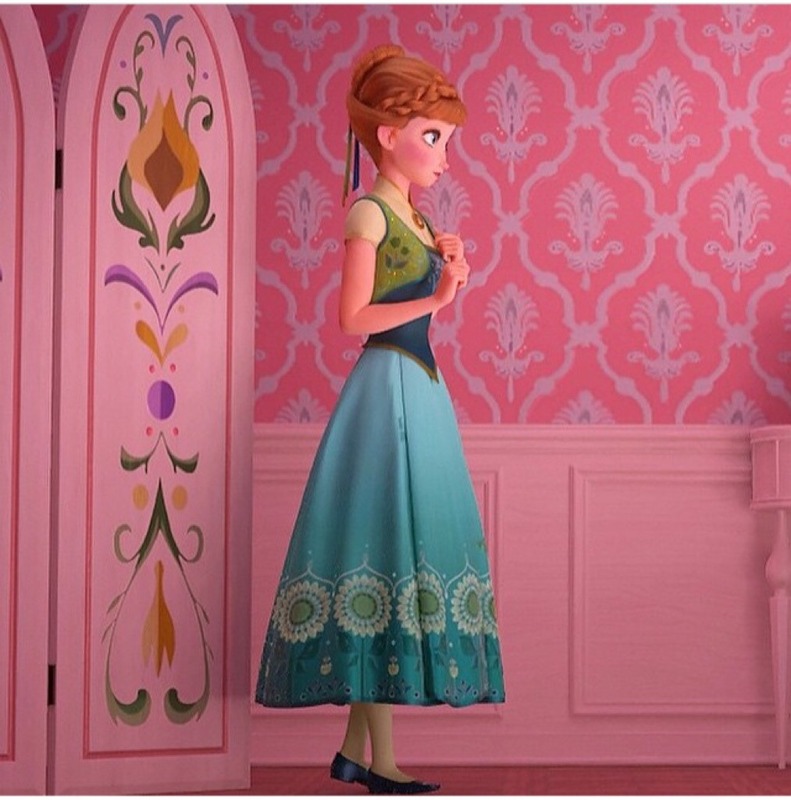 On the left, in Frozen, Anna wears a long sleeved gown with a magenta cape. Her dress and boots are darker colored, and feature intricate floral designs. On the right, in the new mini-film, Anna is dressed for a spring party. Her gown is green and blue, with bright flowers decorating her vest and skirt. She is as cute as ever! With all this exciting news about one of our favorite Disney movies, there’s no better time to pull your Frozen t-shirts out of the closet. Here are a couple of the ones we have that we know you’ll love. Don't forget to take a look at the new Frozen Fever designs, too! So on a scale from one to Olaf’s love of the sunshine, how excited are you for the new Frozen stuff?! The mini-film will be so cute, hopefully enough to tide us over for the big sequel. Of course, Cinderella itself looks amazing, too! Let us know in the comments what you'd like to see in Frozen 2.